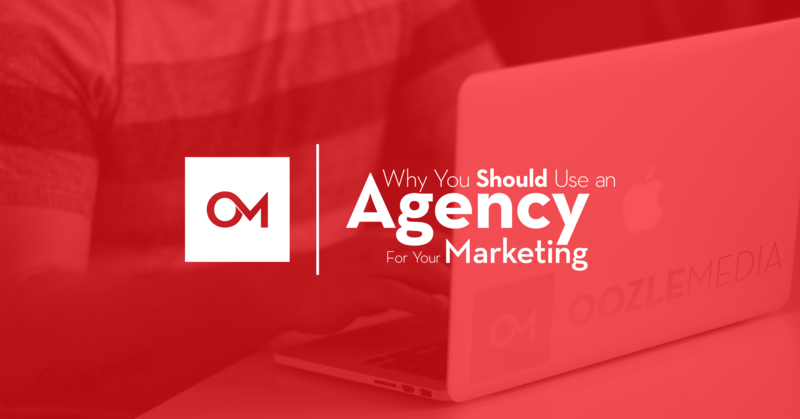 Use an Agency for Your Marketing. You’ll Thank Us. Your business is growing up. For a business owner, that means it’s time to begin finding new customers and hopefully making enough money to be considered successful in your industry. It’s time for your business to begin marketing. You have to make the decision to hire an in-house marketing agent or hiring an agency. Even if you’re not a startup or new business and have been in the industry for a long enough time to know what you want, you still need marketing. That means you need to do research and weigh your options. Because this business is your baby, and just like a real child, it needs proper nutrition to grow. It’s a stage in every business’s life, and if you’re ready to take the plunge, you should consider the following information about your options. In-House Marketing vs. Agency Marketing: What’s the Difference? Before you can even begin looking at different agencies and interviewing marketing directors, you need to understand the difference between the two. In-house marketing sounds appealing because it means that you have an agent there in your building monitoring your business’s growth. They know the ins and outs of your brand, and you’d be able to oversee everything they produce, right? We’ve heard this before. The benefit of having a person directly in front of you to monitor and communicate with is not lost. But that’s when you need to ask yourself: how much time will you have to manage them? You’re a business owner, you know how much of your time is spent managing your company, not to mention building your brand. Honestly, when you think about your own schedule, can you really see yourself mentoring your new marketing manager? Even if you had the time to do that, are you keeping up on the latest marketing trends and techniques? Without that constant training you won’t be able to determine if the things your in-house hire is doing are even correct. So your next thought is likely: why not hire two people? One to complete the work and one to manage the other while reporting to you? Let’s look look at some numbers. By hiring an agency, you are paying for the use of their tools, expertise, and training. By hiring a single in-house marketer (or even two), you are paying for their salary, burden costs, the cost of the marketing tools needed to be successful, plus any ad spend. Each of which contain several facets within them. And an effective marketing campaign, one designed to drive leads, conversions, and engagement, needs to be comprised of each of those verticals and their sub-tasks. Do you know the difference between site copy and social copy? What about schema markup or creating an ad campaign? If you don’t know what any of these are, or where to even begin with them, it’s likely that your in-house marketing may know some of these things, but definitely can’t know them all. Many people that advertise themselves as a marketing “unicorn”, “guru”, or “ninja”, will say that they know several or all of these verticals. That may be true, but their knowledge will be base-level at best. It’s impossible to be an expert in every vertical, and so the truth of the situation is that you’re going to skimp on between one and three verticals with an in-house agent. You might have yourself an SEO master, but their content is going to come out a little funky. They may be a wiz at writing, but they likely have no idea how to set up a social or PPC ad campaign. Not to mention they might not know how to report on their results accurately. There are so many things that go into an excellent marketing campaign, and one or two people simply aren’t going to be able to complete them all. Even with all that time they have to dedicate to your marketing only, an in-house person might have the know-how of your business, but they certainly won’t have the same amount of knowledge that an agency can provide you with. 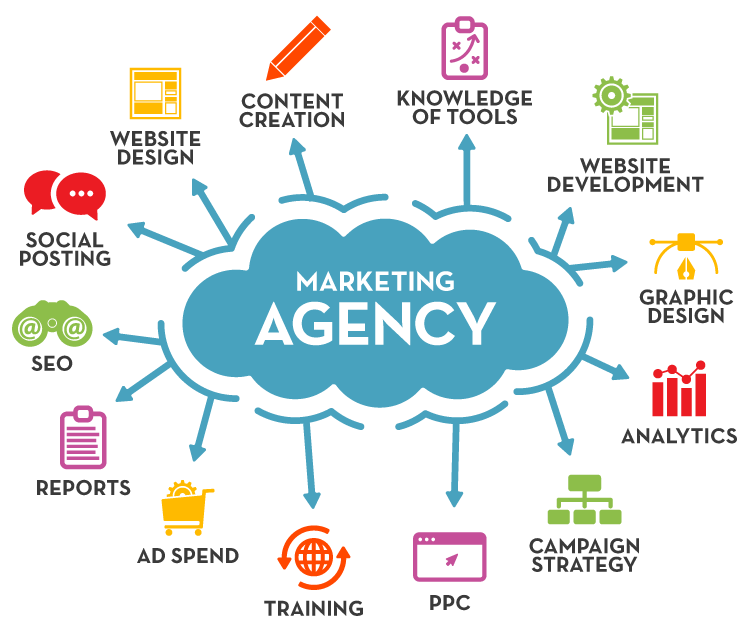 So we’ve established that a quality marketing agency is going to provide you with each of these verticals and have multiple experts on hand for each. At Oozle we work in small teams containing one or more specialist in each department. That way, if we ever hit a snag we have groups of experts who can problem solve together. Now let’s talk about those *marketing tools. Did you know that most marketing tools such as Bright Local, Double Click, and Google Ad Manager each have a minimum spend? That means that if you aren’t spending a certain amount on your PPC campaigns each month, you can’t even use their software to track it. The very first benefit of hiring an agency is that you pay your monthly fee and suddenly have the use of all of the tools that that agency is already paying for. Additionally, you’re paying for the people that know how to use them. These are many, but not all of the marketing tools you would need to use to be effective in your marketing strategy. Think you’re willing to pay for the tool anyway? You may be willing, but have you hired someone who knows how to use it or is able to learn? Why would I spend $5k a month for 50 marketing hours from an agency when I could pay that same amount for a single person who can dedicate their entire 128 hours a month to my personalized marketing? From a business-owner standpoint, that definitely seems like the most bang for your buck, but considering how likely it will be that your single 128-hour agent succeeds in their marketing efforts, will you actually be saving any money? The reality of the situation is that yes, you will pay the same amount of money for an agent who can work more hours, but those hours are not going to be effective. Your single agent can’t know every aspect of marketing that an agency does, they cannot keep up on marketing trends and training, and they won’t be able to use all of the tools that an agency does. Final question: What if there was a way to marry the benefits of an in-house agent and an agency? At Oozle Media, we try to do just that. We know how appealing it is to have a person there in front of you, which is why we go out of our way to communicate everything we’re doing with you. We spend a great deal of time getting to know your brand, history, and product. Because Oozle Media works in such specific industries such as post-secondary education, home services, and dentistry we make every decision with your brand and industry in mind. You have the final say on each strategy we implement. But we also have the benefits of an agency. Oozle Media was recently named a Google Premier Partner for our outstanding PPC campaigns and management. We manage enough clients’ PPC campaigns that we are able to use the tools necessary to improve and really maximize our PPC efforts. We are able to take advantage of having a building full of experts in their fields, and we all work together to achieve that “holistic” marketing campaign. Oozle stays on top of new trends, we send our specialists to trainings and seminars monthly, and we are always looking for ways to improve. There are so many advantages to hiring an agency, and the amount of brains you have working for you is just the beginning. 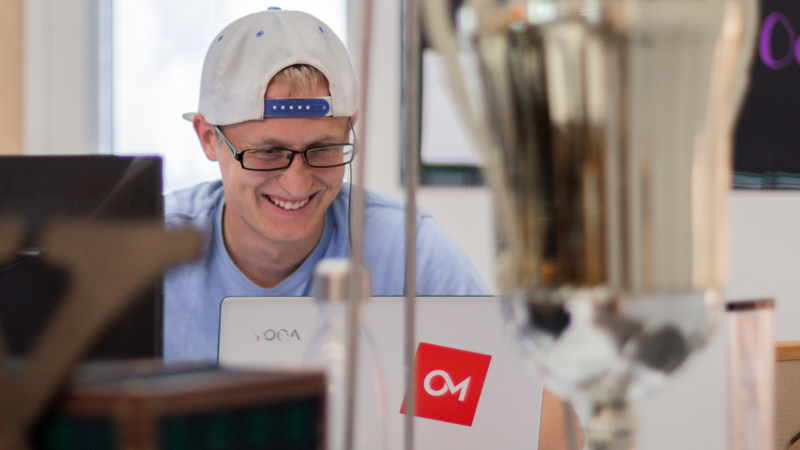 Oozle Media offers comprehensive, and in-depth marketing strategies in every vertical. But that doesn’t mean you have to sign up for all of them. If you’re only interested in paying for PPC or for call tracking, we have the advantage of those tools and resources, plus the expertise to use them. If you just need a new website, we have a variety of tried-and-true layouts that we know you’ll love, or we can build you a brand new customized site. Let us help your marketing from any angle you need, and you might find that you want to sign up for more services later on. You can call us at 877-986-6529, or you can fill out this form to let us know exactly how we can begin getting your business noticed in the digital world.